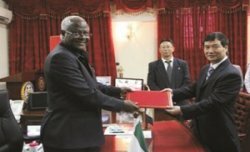 British Overseas Development Secretary – Justine Greening, has today arrived in Sierra Leone along with one hundred soldiers to speed up efforts in setting up treatment centres and make hundreds of beds available for Ebola victims. 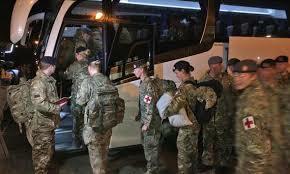 Today’s arrival is in addition to the 300 soldiers that are already in Sierra Leone, as part of the British government’s commitment to spend £125 million in combating Ebola in Sierra Leone. The UK support for Sierra Leone is the second largest governmental assistance given by any country to the Ebola affected West African countries, after the USA. 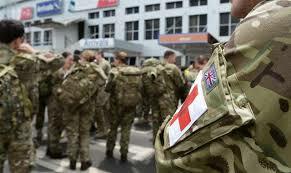 And by the end of the year, there will be a total of 750 British soldiers in Sierra Leone fighting the ebola virus across the country, as Britain once again step up to the plate when it matters most, saving lives in the former British colony. With more than 3,000 people now infected by the virus, and over 1,000 dead, serious questions are being asked about the government’s honesty in reporting the seriousness of the Ebola crisis, and its commitment in bringing the humanitarian disaster to an end. 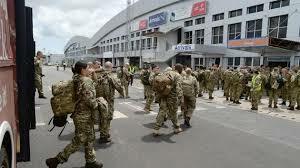 Also arriving at Lungi Airport in Freetown are soldiers from the Queen’s Own Gurkha Logistic Regiment and 1st Battalion The Royal Regiment of Scotland. The International Development Secretary – Justine Greening will visit the soon to be completed treatment facility in Kerry Town and the DfID-funded Ebola Training Academy. 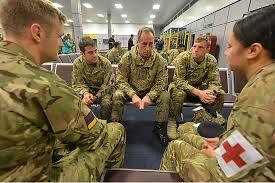 Major General Tim Radford, the General Officer in charge of most of the deploying troops said: “This is the third group of soldiers who have deployed to Sierra Leone in support of the DfID operation to help tackle the crisis. Port Loko 66 – an increase of nine in five days; Pujehun 12 – no increase in five days; Bo 57 – up four in five days; Moyamba 31 – up two since the 13th October; Bonthe 1 – no increase since it first case several months ago; and Freetown (Western Area) 150 – twelve deaths in five days, the highest increase in the country. 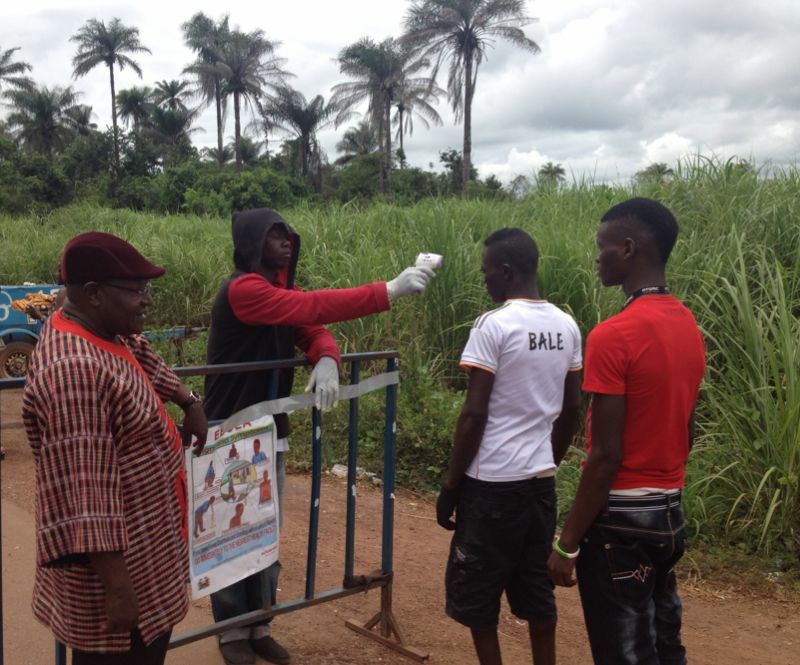 But the figures for yesterday, 20th October 2014, published not by the ministry of health and sanitation – but the newly constituted National Ebola Response Centre (NERC) whose Chief Executive Palo Conteh reports directly to president Koroma, shows there were 3,225 cumulative confirmed cases – an increase of 246 in five days. As expected, Freetown – the new Ebola epicentre of Sierra Leone continues to witness a frightening exponential rise in the number of new cases, with the total cumulative number fast approaching the one thousand landmark at 851 – an increase of 246 in the last five days, compared to the three day increase of 71 – recorded eight days ago. The declining rate of contraction witnessed in Port Loko eight days ago appears to be holding. The number of cumulative cases now stands at 444 – an increase of 19 in five days, compared to the increase of 27 in the previous three days. The highest cumulative increase of 48 was recorded over two weeks ago in Port Loko, once again perhaps suggesting that the measures being taken to prevent infection and transmission are highly effective in that district, or there is massive under-reporting taking place. 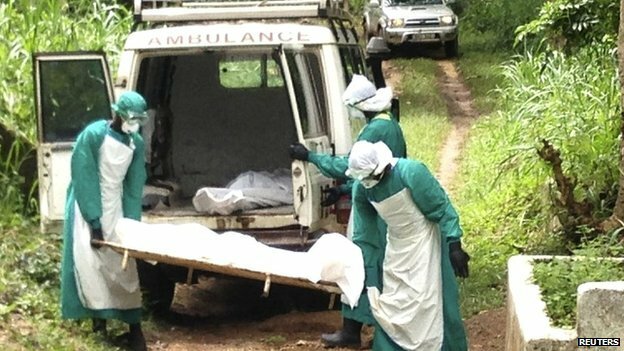 Serious attention must be drawn once again to Kailahun district – where the first case of Ebola in Sierra Leone was discovered, because after several weeks of what appeared to be a significant stabilisation in the number of new cases, there are worrying sings Ebola may be returning to the district. The total number of cumulative cases in Kailahun now stands at 545 – an increase of 9 in five days, compared to the cumulative increase of 3 witnessed twelve days ago. The steep rise in new cases witnessed in Kenema over a week ago, appears to be slowing down, with the cumulative number of cases now at 467 – an increase of 9 in the last five days, compared to the increase of 24 seen in the previous three days. Almost two weeks ago, the cumulative increase was just 3. So, how is Kono faring, after a good spell without any new cases in almost a week? Yesterday – 20th October report by NERC puts the total cumulative number of cases at 34 – an increase of three in the last five days, after a cumulative increase of just 2 – eight days ago. Perhaps the second most appalling trend in the number of infections and transmissions after Freetown is to be found in Bombali – the home of the president, with the total number of cumulative cases now standing at 441 – an increase of 39 in the last five days, compared to the cumulative increase of 33 recorded over a week ago, which itself was a drop from the cumulative increase of 36 seen three days earlier. Kambia continues to do well in terms of the rate of increase in infection and transmission ion the last few weeks, with a total of 26 cumulative cases – an increase of 1 in the last five days, similar to the cumulative increase of one recorded over a week ago. After last week’s shock of recording its first ever cases of Ebola, the people of Koinadugu seems to be doing all they could, not to increase transmission or infection. The total number of cumulative cases in the district still stands at two. 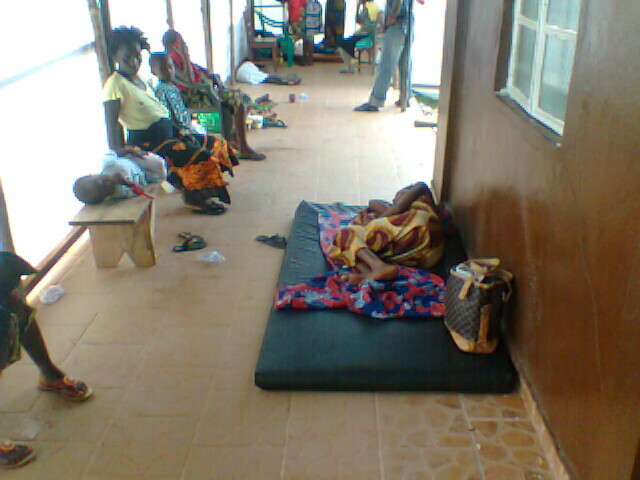 Although the total number of cumulative cases in Tonkolili is quite high, yet the rate of infection and transmission in the district is fairly steady, with the total number of cumulative cases now standing at 150 – an increase of 12 in the last five days, compared to the increase of 13 seen about a week ago. Bo appears to have doubled its rate of infection and transmission, with the cumulative total number of cases now standing at 153 – an increase of 16 in the last five days, compared to the increase of 7 witnessed about a week ago. Bonthe’s resilience has been tested after several months of showing it can shut out Ebola from its Island. Yesterday’s Ebola update shows that the total cumulative total number of cases has gone up to 2 in the last five days, confirming the proverbial – ‘no man is an Island’. Was this a one off for the people of Bonthe, or has there been a breach? The total number of cumulative cases in Moyamba now stands at 85 – an increase of 8 in the last five days, compared to the cumulative increase of just two recorded over a week ago. After almost two weeks of weathering the Ebola storm in the south, the total cumulative number of cases in Pujehun is now standing at 25 – an increase of just one in the last five days. It worth noting that all it takes is just one new case to start another epidemic. The number of new confirmed cases recorded yesterday, 20th October, continues to show a very mixed – though depressing picture of Ebola refusing to go away, with Freetown the capital city and Bombali recording very worrying high numbers of cumulative cases, respectively. Of the 69 confirmed new cases nationwide recorded on the 20th October, almost 75% of those Ebola positives were found in the capital Freetown, with only two northern districts – Port Loko and Tonkolili recording just 13 cases between them. In the south of the country, only Bo and Moyamba recorded new cases, with a total of 7 between them on the 20th October. The number of confirmed cumulative deaths recorded on the 20th October throughout the country was 986 – an increase of 54 in the last five days, compared to the increase of 11 recorded over a week ago. This also compares to the cumulative total of 713 recorded on the 9th October – an increase of 273 confirmed deaths in eleven days. But the NERC says that the total number of suspected and probable deaths recorded on the 20th October was 273 – a surprised increase of only 5 in five days, after an increase of 16 over a week ago. 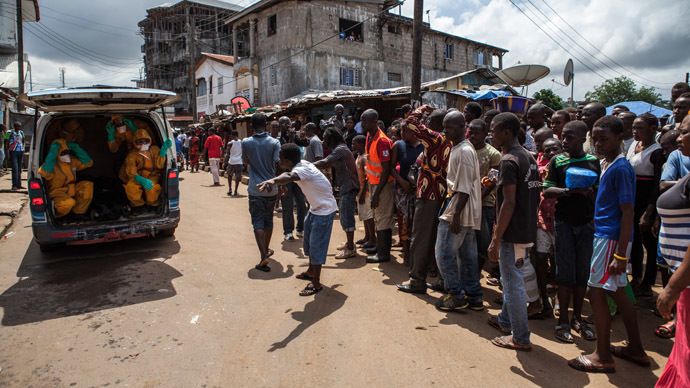 Is the government still under-reporting the truth about Ebola in Sierra Leone? That which cannot be honestly measured – cannot be effectively managed.